The Freedom Report is a podcast that reports on news from a perspective of economic freedom and personal liberty. Today's Freedom Report podcast looks at the lawsuit filed by Governor Gary Johnson against the Commission on Presidential Debates. Johnson and attorney Bruce Fein are filing an anti-trust lawsuit, claiming that the CPD is in restraint of trade, and arguing that the debates are a monopoly. With the filing of our complaint, the CPD will finally be forced to reveal the secret agreements, the plans, and the plotting that the Republican and Democratic parties have used to monopolize the debates and keep voters from seeing that there really are alternatives to the worn-out, business-as-usual “major” party candidates. Our lawsuit makes the case that this monopoly is not only wrong, but illegal. But Johnson's advisers (who included former Trump guru Roger Stone back in 2012) and campaign staff say he is unlikely to be the sacrificial victim for a quixotic Libertarian campaign unless the Libertarians are assured at least the possibility of being in the post-primary presidential debates. Hence Johnson's law suit. Estimated to run up $800,000 in legal bills, the suit has been put together by Reagan administration Constitutional lawyer Bruce Fein, whose work on opening up political debate includes getting rid of the Fairness Doctrine - an FCC policy which had the result of coercing broadcasters into presenting only two centrist viewpoints, liberal Democrats and Rockefeller, establishment, Republicans. Fein's Johnson suit will be an anti-trust suit, alleging that the Commission on Presidential Debates, populated and controlled by only establishment Democrat and Republican Party operatives, limits the candidates allowed to debate only to the nominees of those two parties - even if other candidates like Libertarians or Greens have managed the extremely difficult task of being on the majority of state ballots so they could earn enough Electoral College votes to win an election if voters knew they were running and considered them viable because they were presented in the same way on television and in the debates as the GOP and Democratic candidates. Fein further alleges that the Debate Commission is a business in restraint of trade, since the Republican and Democratic consultant class raise billions of dollars now to pay themselves during the campaign season, and raising the money is dependent on excluding independent competition for donor dollars. So though most might still think it unlikely, Courts may be deciding within a year whether the Presidential Debates will for the first time include a Libertarian or a Green. Should libertarians be using anti-trust laws to force private parties (Republicans and Democrats) to associate with another party? Doesn't that fly in the face of everything we believe? Or do sometimes the ends justify the means? All that and more on today's Freedom Report podcast. Don't forget to subscribe on iTunes, and leave us a 5-star review! [dropcap size=small]T[/dropcap]his week, news came out that a life-saving drug invented in 1953 was recently acquired by a pharmaceutical company and the price was quickly raised from $14 a tablet to $750 a tablet. 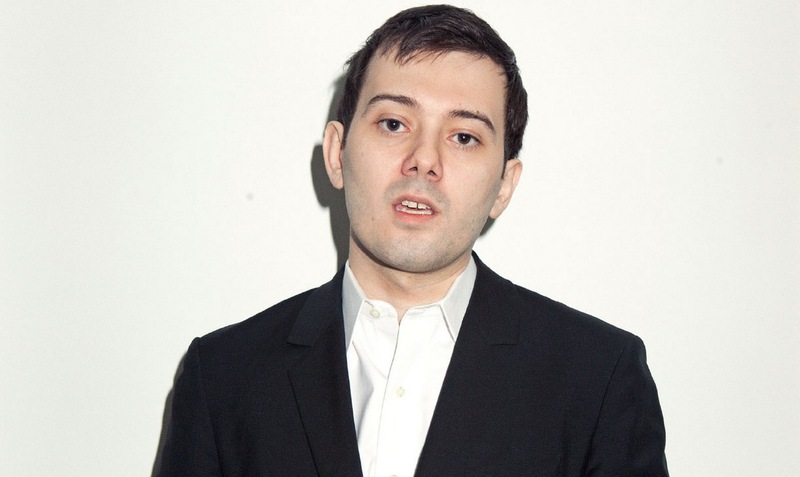 This price spike has created a flurry of outrage about greedy pharmaceutical companies, and most of it has been directed specifically towards Turing Pharmaceuticals’ CEO, Martin Shkreli. Though there are many reasons libertarians might claim that this problem that wouldn’t happen in the first place without the FDA and patent law, I’d like to point out that the other way that a libertarian society would handle unfair pricing is consumers turning on companies through various forms of awareness (or "shaming") campaigns. Such as what just happened in the last three days. No law needed, just social fury, as the social justice crowd has proven repeatedly. Now look, I love to hate on big pharma just as much as everybody else. However, imagine you pour millions of dollars into equipment, samples, laboratory space, scientists, whatever else you need to do this, and you absolutely will not see any return from it for, on average, 12 years. That return may happen, if you’re lucky enough to have developed a compound worth testing at all, and that anybody needs or wants to buy. Though I’m all for safe and effective medication, there’s a number of reasons the FDA doesn’t appear to be the best way to save lives or effectively respond to health crises --- one of these reasons is their abysmally long approval process that keeps medication out of the hands of those who will literally die without the chance to try it. At the time that Daraprim underwent the FDA’s approval process, the average time from application to market was 7 months. Granted, this was prior to the Kefauver-Harris Amendment of 1962, which completely changed the way new drugs were approved and regulated in response to the thalidomide birth defects crisis. Daraprim has been on the market for over 60 years, and clearly its research and development costs have been recouped. In fact, after so many years, the patent has expired, so a generic alternative should exist, right? However, Daraprim doesn’t have a large market. The New York Times estimated approximately 8,000 to 12,000 prescriptions are filled annually. It’s not necessarily the most financially sound move to attempt to manufacture and produce the generic, as there’s little profit incentive and some potential risks trying to compete within that market. What’s the solution then? This is America, where he and his company have every legal right to profit, and no libertarian wants a government solution against profit. Personally, I’d rather avoid over-emphasizing our self-congratulatory libertarian analysis that “this wouldn’t have happened if we were in charge!” due to our condemnation of the FDA or frequent libertarian position against intellectual property. It helps to articulate our positions when these matters arise, but it’s not going to help this situation. The best we can do in these moments is take the time to explain why government monopolies enable greedy people to take advantage due to a lack of competition, or without the natural regulations of the market. In the meantime, maybe the social justice activists have a point. When you’ve got no other card to play, maybe the fact that this man’s name and face are all over Twitter, Facebook, and major news organizations as the “A**hole” or the “Douchebag” of Pharmaceuticals, is enough to make him change the prices significantly. We’ll just have to wait and see. Does the rise of Bernie Sanders and Donald Trump show the problems with democracy? Today's Freedom Report podcast looks at the presidential debate on CNN, contrasting the campaign of Donald Trump with libertarian leaning senator Rand Paul. Today's special guest is The Libertarian Republic columnist Keith Farrell. 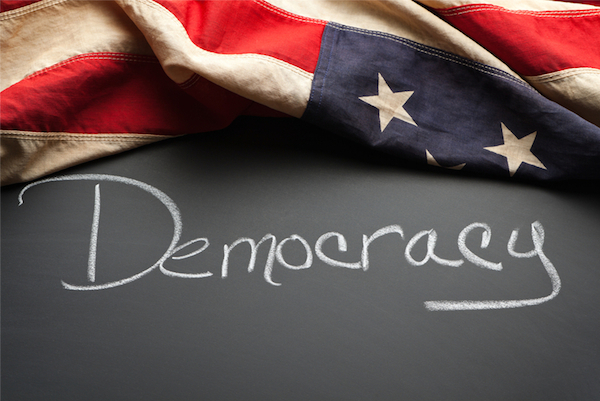 Keith's recent article "The Disastrous Consequences of Unfettered Democracy" stirred up a tremendous debate online about democracy run amok. Have a read and listen to today's show, and don't forget to subscribe on iTunes and leave us a 5-star review. Today's Freedom Report podcast discusses why editor Austin Petersen has decided to seek the nomination of the Libertarian Party for President of the United States. With the rise of right-wing populism taking over the Tea Party, Donald Trump has ridden the wave on the back of anti-free market sentiments among the right. With Rand Paul floundering in the polls, who is left to articulate a pure libertarian message of economic freedom and personal liberty? While some may think it's a joke, the reality is that with the current slate of presidential candidates, the joke's on all of us. America deserves to have a candidate who boldly stands up for what is right, not just what is popular. If the Republican Party decides not to nominate Rand Paul, who will be left to stand up for these issues? 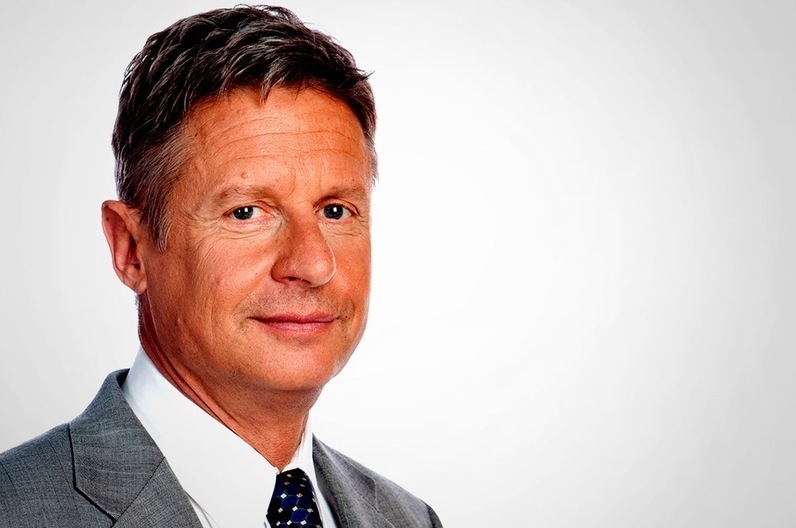 Who will represent the voice of the libertarians in this national debate? Gary Johnson? Johnson had his chance, and voters didn't respond. Why not try something new? An Austin Petersen presidency would be one of strict deregulation, limited taxation, economic freedom, less foreign interventionism, free trade, and civil rights. 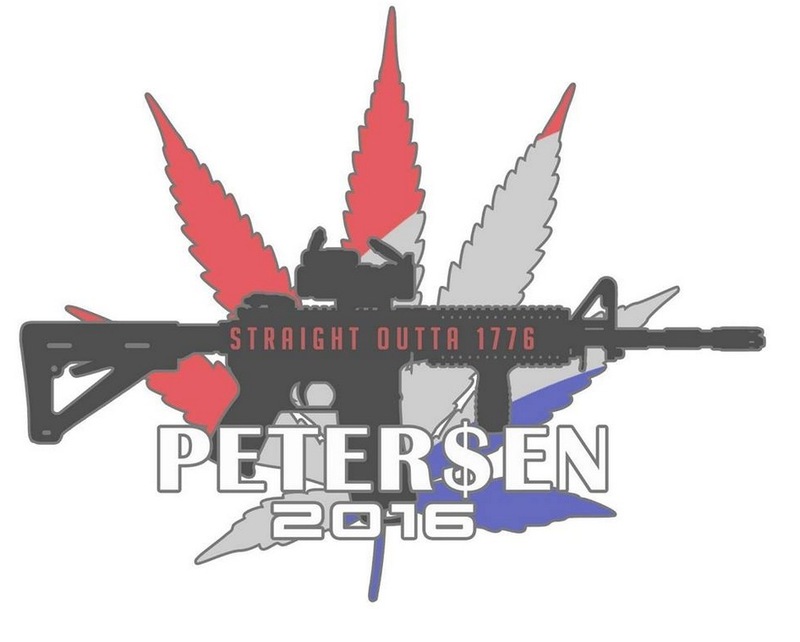 Today's episode of the Freedom Report podcast goes into detail over why Petersen's throwing his hat into the ring, and why you should support him.